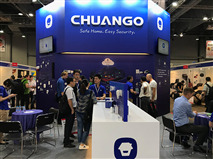 Berlin – Sept1, 2017 - Chuango Security Technology Corporation, an award-winning and dynamic developer of wireless DIY home security and automation systems, is pleased to announce its participationin IFA from Sept 1 to 6. “We’re thrilled to be back in Berlin with our latest wireless, DIY home security and automation solutions forDIY/building materials and smart home channels,” said Ken Li, founder and CEO of Chuango. The complete solution portfolio of Chuango speaks minimalistic elegance, self-installation and self-monitoring, and is availableatBooth 122 in Smart Home Hall 6.2 at MesseBerlin. 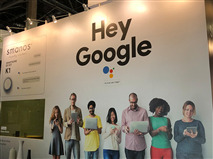 Products on display include the latest cellular and WiFi alarm systemsforprivate labels/OEM options, as well as a new smart home kit,panoramic camera, video doorbell and many other uniquely designed wireless sensors/accessories under Chuango’s own smart home brand, smanos. 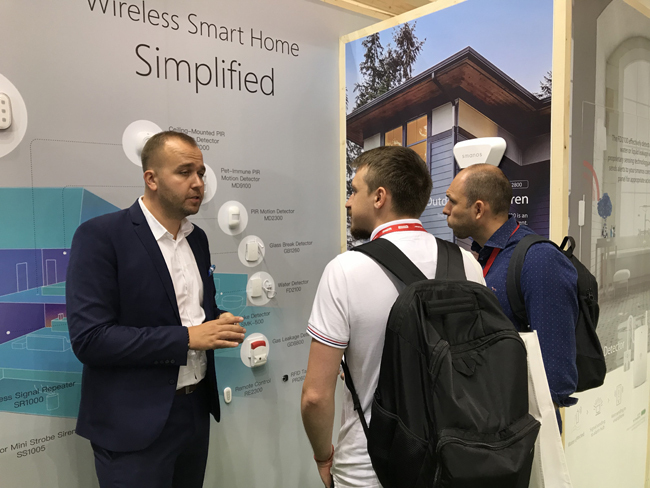 “The Chuango H4 Plus WiFi &Cellular Smart Home Hub boasts super simple WiFi or cellular setup for secure, failsafe, remote smartphone access into your smart home,” said Brian Borghardt, GM of Europe. “Scaling up simply requires a few swipes and taps on the free app, to add up to 50 wireless sensors and cameras, without calling in an expensive installer.” Users get to enjoy the comfort and convenience of a safe and smart home within minutes upon opening the box. The H4 Plus also opens up possibilities to work with other popular wireless protocols, and is your ultimate gateway to a smart and secure home. With a regular-sized SIM card with credit or WiFi connection, the system can be controlled via smartphone app commands wherever your travels might take you. When triggered, the system will push app and email notifications (or text notifications when the WiFi is down) and call out to pre-authorized numbers for appropriate action. Aside from regular Chuango security capability and functionality, the H4 Plus also controls and saves power for your home appliances that are plugged into smart switches; the H4 Pluscould work with other smart home devices, such as the Nest® thermostat, Amazon® Echo and LightWave® RF lighting and climate controls, if specified. Other hubs on display include the G5 Plus, AWV Plus and more, with enhanced features. On the home monitoring front, the 1080p WiFi HD camera, Chuango IP116 Plus, has a field of view at 115° (equivalent to two regular home cameras combined) and astounding motion detection and night vision capability, far superior to its competition in the DIY segment. “The Chuango IP116 Plus is equipped with a high-caliber DSP and CMOS sensor, which produce fluid video footage and sharp still images, providing end users with HD-quality visual evidence 24/7,” said Hayden Hsu, Senior VP. “With in-app WiFi quick setup, ‘installation’ can be done in seconds, with no wires and no fuss.” When activated in low-light conditions, the IP116 Plus ensures black/white visual confirmation for the best course of action. Other customizable solutions and sensors, such as cloud-based device integration andsubscription management platforms, environmental sensors and outdoor sirens, are also showcased in Berlin throughout the 6 days, so please don’t miss out! Chuango offers an all-inclusive, no-contract security, monitoring and automation solution portfolio, especially suitable for retail channels specializing in e-commerce, hardware/DIY building materials and IT/mobile accessories, as well as installation and operator channels. The multifunctional design, support and logistics centers in Amsterdam and Dallas facilitate the turning of popular demands, disruptive innovations and intuitive designs into palpable sensations. From wireless, app-enabled alarm and video systems to remote security and energy management, Chuango solutions cater to today’s mobile-driven lifestyles and ensure homeowners have complete control, comfort and visual confirmation right at their fingertips within a few short minutes and easy swipes and taps. Companywide, Chuango has experienced double-digit growth over the past 36 months, and the momentum is still picking up worldwide; the company is publicly listed and traded on the National Equities Exchange and Quotations (link in Chinese; ticker 831464) in Beijing. What’s being demanded in the residential market these days is smart, simple, sleek, mobile yet compact and integrated ingenuity, and Chuango will continue providing just that, with even more smart home and remote management options. Stay tuned for more!